Hobbico Inc DIDE1509 - Includes: one each right front and left rear counter Clockwise Rotation Motor, key #9 COMMENTS: Must be installed according to diagram in instruction. Features: counter clockwise rotation motors with wire leads replace worn or non-functioning motors. These are the right front and Left Rear Counter Clockwise Rotation Motors for the Dromida Kodo Quadcopter. Hobbico Inc DIDE1508 - Clockwise rotation motors. These are the left front and Right Rear Clockwise Rotation Motors for the Dromida Kodo Quadcopter. Includes: one each left front and right rear Clockwise Rotation Motor, key #8 COMMENTS: Must be installed according to diagram in instructions. 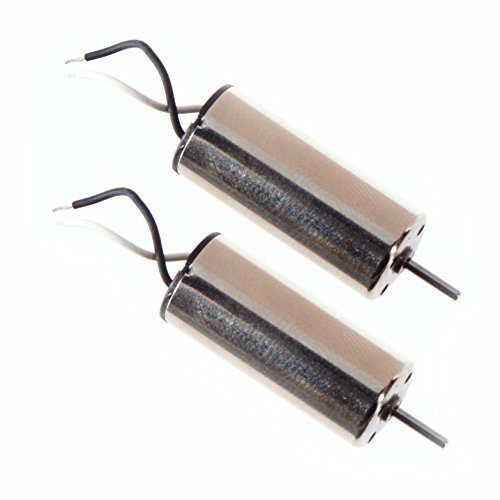 Features: clockwise rotation motors with wire leads replace worn or non- functioning motors. Hobbico Inc DIDE1503 - This is the prop Guard Set for the Dromida Kodo Quadcopter. Features: clockwise rotation motors with wire leads replace worn or non- functioning motors. Includes: one each left front and right rear Clockwise Rotation Motor, key #8 COMMENTS: Must be installed according to diagram in instructions. Includes: four propeller Guards, key #4 jxs 10/09/14 ir/jxs. Constructed of flexible plastic, black in color. Features: constructed of flexible plastic, black in color Installs on each motor to reduce damage from spinning blades.